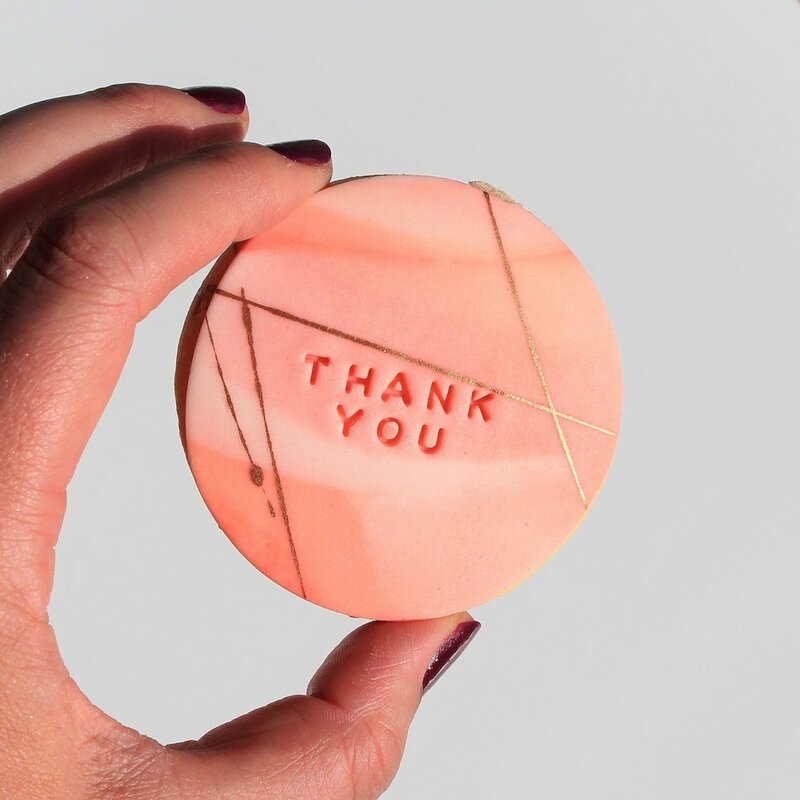 Your message on a BY POP Cookie. Perfect. 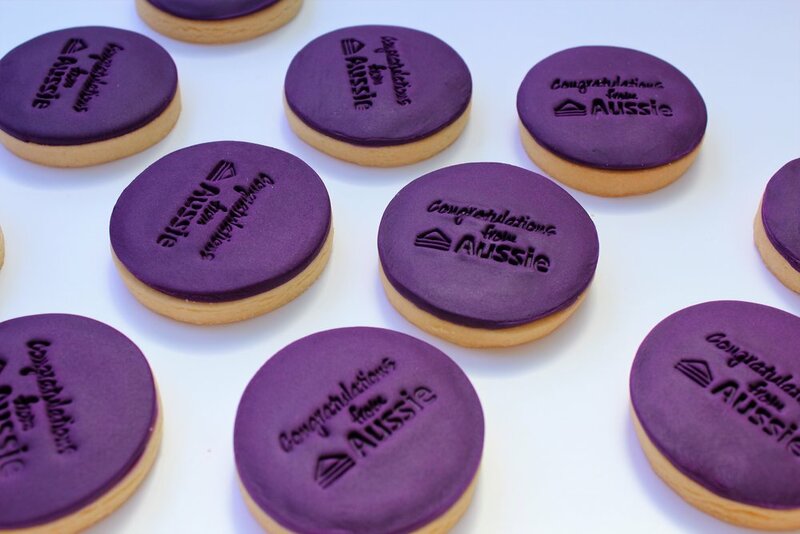 Our custom-designed BY POP Cookies are the most delicious and beautiful custom cookies Melbourne has to offer for private and corporate events. Special events deserve very special custom cookies. We work with you create custom cookie designs using your fonts, colours and metallic accents, to perfectly compliment the other elements of your event. For corporate events such as product launches, expos, promotions, conferences or staff recognition events, we can work with your logo and brand guidelines to can create a design that speaks to your audience just how you need it to. Want to keep it simple? Our custom letter-pressed cookies use a standard font and layout. 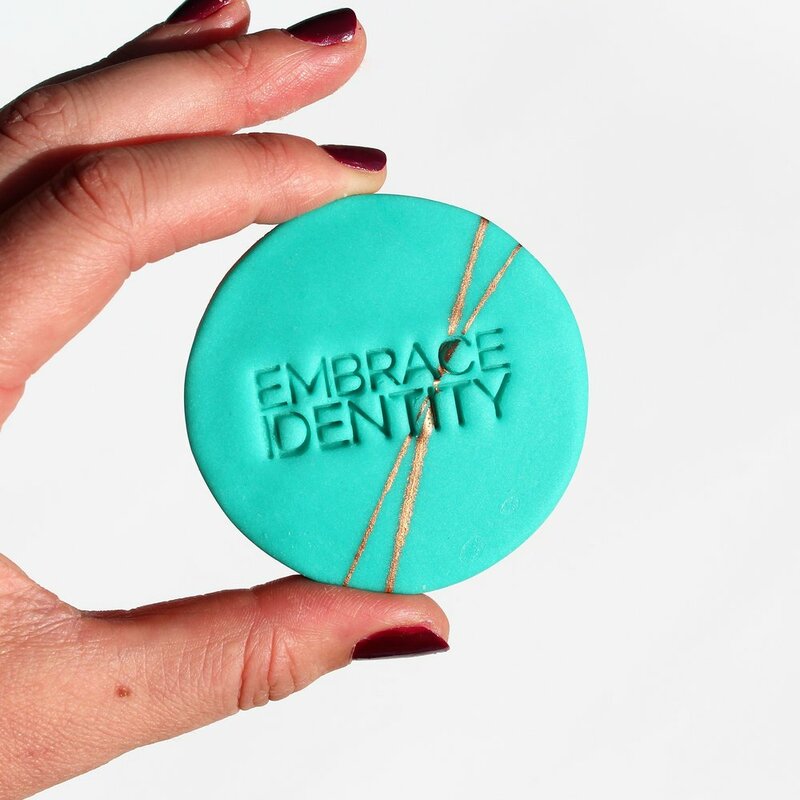 There’s nothing standard about the message, colours or metallic accents though - no two custom BY POP Cookie designs are ever the same. For more information, please get in touch by filling in the enquiry form on our contact page, or directly on 1300 818 380 or at hello@bypopcookies.com.au. We will be in contact to discuss options for your custom cookies!